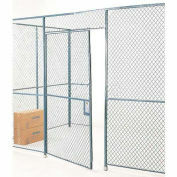 These wire partitions require no nuts and bolts for installation! Can be installed in 1/3 the time of traditional wire partitions. 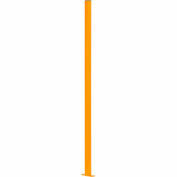 Hook design reduces labor costs and provides easy and permanent installation. Fasteners and pins are not visible from the outside leaving a smooth finish. 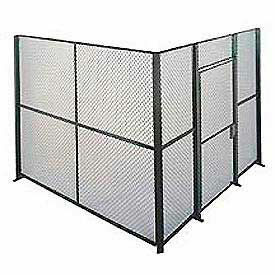 Wire mesh is constructed of 10 gauge steel with 1-1/2" diamond wire weave. 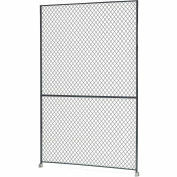 Two 4'H Wire Panels are stacked together to form wall and partitions. Includes four aluminum drive pins to secure to posts. Electrostatic gray baked enamel. Shipped in crates to eliminate shipping damage.